By integrating MailChimp with ConvergeHub CRM you can easily send well-targeted and personalized emails to a specific list of customers. Just define your segment criteria in ConvergeHub and click on the MailChimp button to export your contacts into MailChimp. This integration is really beneficial when for example, you want to send emails to prospects or customers based in Los Angeles or any other specific city, profession or lead types of your choice. With only a couple of clicks, you can set the criteria and export your desired list. 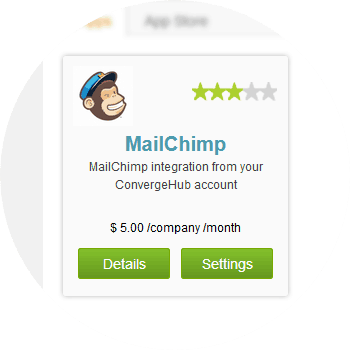 Save your time by automatically importing ConvergeHub CRM contacts into MailChimp for email marketing campaigns. 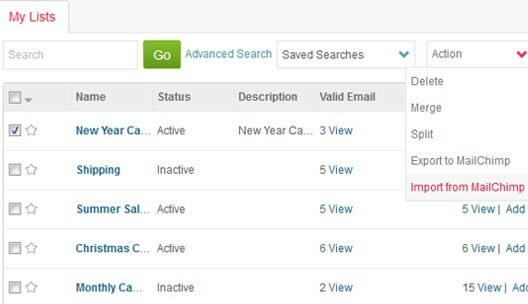 Synchronize ConvergeHub contacts or leads to MailChimp lists with automated management of opt-outs list. 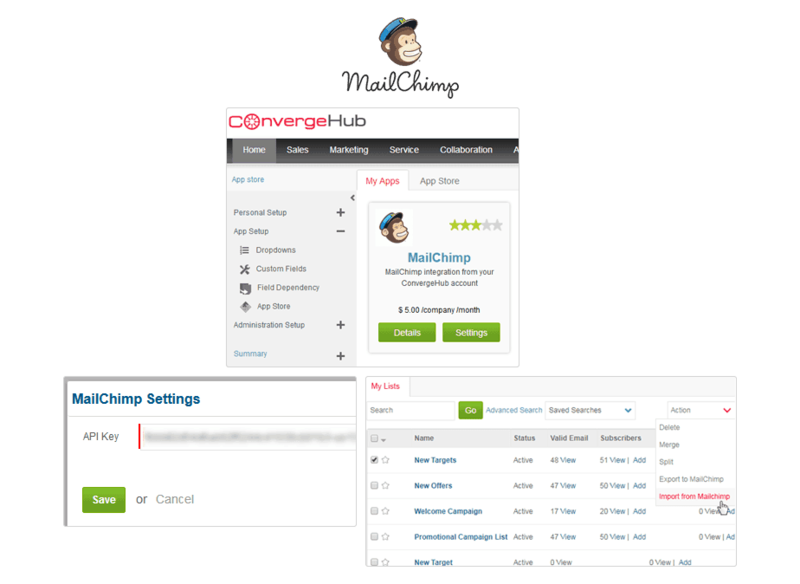 Sync MailChimp lists with ConvergeHub CRM campaigns and maps MailChimp subscribers with ConvergeHub CRM contacts/leads. 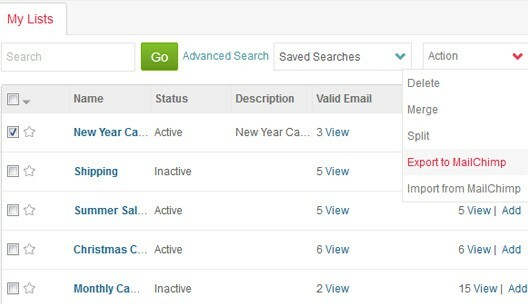 Receive notifications in ConvergeHub CRM's whenever a new lead is added or removed, and when a profile has been updated in MailChimp. 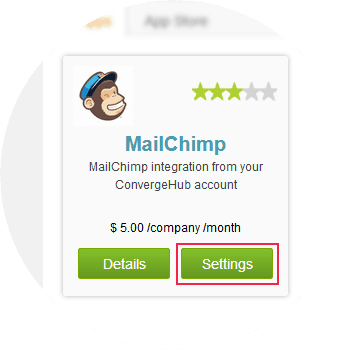 For seamless integration with MailChimp click on the Settings button, this will open up a pop-up. If you have a pop-up blocker in your web browser, then allow the pop-ups from ConvergeHub. 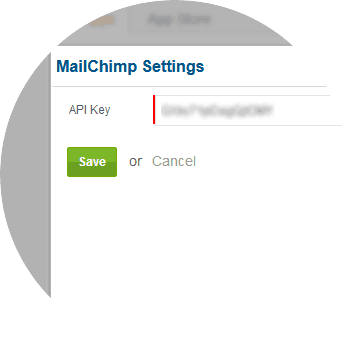 In the pop-up window, input the MailChimp API Key, which can be found in the MailChimp account.